Award-winning civil and environmental engineering company, Land & Water, is dedicated to safeguarding and improving environments for future generations to enjoy. 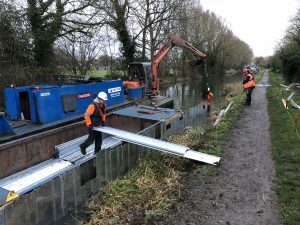 As a part of this commitment, Land & Water is supporting the restoration of Agenda 21, a residential mooring site alongside the Oxford Canal towpath, situated three miles north of Oxford city centre. Agenda 21 is an affordable living site, designed to act as a real community. The banks at the site are currently falling into the river making the site inhabitable. 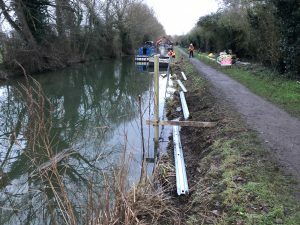 Land & Water will be carrying out a complete repair whilst installing fishing jetties which boats will be able to moor from. Lucy Lee, Contracts Manager at Land & Water comments: “We have been working for five years to secure approval of this contract. As a company, we are extremely passionate about providing solutions that are carefully planned, implemented and delivered in order to protect habitats and waterways for years to come. Next Plantworx 2019 to take a trip down memory lane with a Classic Plant display.